And, you should too. Video can be the perfect complement to your existing marketing campaign, and given today's tools and resources - such as YouTube and the smartphone - making your first video is as cheap and easy as ever. Since it doesn't take a lot to start filming your listings, neighborhoods and yourself, now is a great time to start thinking about incorporating this element into your business. Traditional marketing strategies have their place in the real estate industry. However, there is also room for video, and many agents are realizing that getting creative and taking a unique approach will provide clients a fresh perspective on homes. According to Realtor Magazine, one real estate professional has decided to turn to video to ensure that clients have an exciting and different way to check out properties for sale. "I believe that video should give the viewer something markedly different than a listing," Kendyl Young, a California-based real estate agent, told the media outlet. "The viewer should get a feeling from the video." With that in mind, Young films home tours with a story, often playing the role of the current homeowner in order to show viewers the experience of living inside that house. That in-depth and customized feel is a creative strategy to use video to connect with clients. It also helps weed out the uncommitted buyers, since the video can already show all the features and amenities of that property. Using video in this way will be simpler with a firm understanding of the local housing market. With CRS Data, you can access mortgage records, property data and much more, right online. Read our Property Values and Key Property Data white paper to get ahead in the industry. 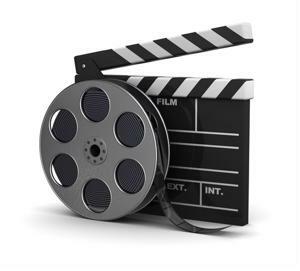 Video can be a great tool because it allows you to share information with viewers in a way that they often don't get while navigating the real estate industry. Due to this, you should always be looking to share information via film that they really want to know. In an article for Homes.com, Jared Daniel explained that this includes community details. For example, film a tour of the neighborhood, or even film a drive from the home to the nearest school. You can also shoot a walk down Main Street to highlight the shops and attractions. Try to give the viewer a feel for the location, so they'll know exactly what they'll be getting should they buy the property. The same goes for inside the home, Daniel noted. Film unique features that the client will want to see, such as a remodeled kitchen, outdoor living spaces or a large garage. You can also use video to introduce yourself in a more personal setting, describing who you are, your experience and what you bring to the table.